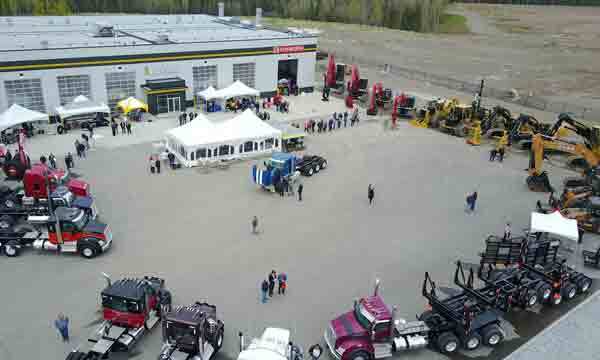 Inland Kenworth recently celebrated the grand opening of its new, 100,000-square-foot, full-service dealership in Prince George. 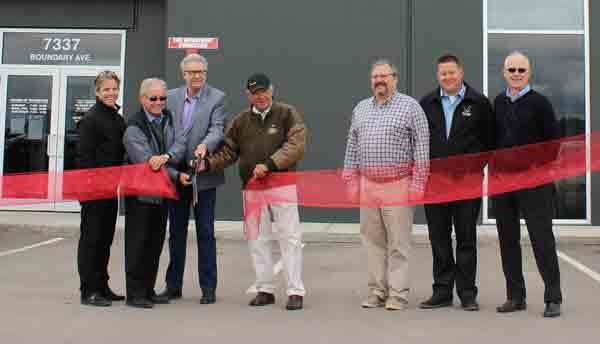 The grand opening, which was open to the public, featured food and refreshments, vendor booths, and the appearance of company officials and local dignitaries during a brief ribbon-cutting ceremony at the new facility. “Our new facility reflects record-setting growth in the economy of Prince George, considered as the ‘northern capital’ of British Columbia,” said Bill Currie, president and chief operating officer of Inland Kenworth. “The new Prince George location will provide customers with an excellent facility to view Kenworth new and used trucks, receive outstanding service support with fast diagnostic response, while also keeping fleets, contractors, and government agencies well-stocked with truck parts.” Currie noted that the dealership outgrew its former Quinn Street location, which served the needs of local customers and truck fleets, and operators for nearly 60 years. The new location is at 7337 Boundary Avenue in the Prince George Global Logistics Park, south of the downtown area and about 11 kilometers southeast of its previous site. Inland Kenworth – Prince George features 36 truck, equipment and body shop bays; and a large parts inventory to meet customer parts and service needs. Specialty equipment and service offerings include a wheel alignment bay, a body shop with a down-draft drive-thru paint booth, diesel particulate filter (DPF) cleaning machine, flywheel resurfacing machine, frame straightening bay, overhead cranes for faster and safer service of heavy components, 2-hour truck diagnosis through Kenworth PremierCare® ExpressLane dedicated express lube bays, and a large driver’s lounge with flat screen TVs, microwaves and recliners. Kenworth PremierCare(R) dealers, such as Inland Kenworth – Prince George, help fleets and truck operators maximize productivity by offering an extensive inventory of parts and accessories, parts delivery trucks, expert factory-trained technicians, and mobile roadside assistance. Inland Kenworth – Prince George is open from 7 a.m. to midnight Monday through Friday, and 7 a.m. to 5:30 p.m. Saturday and Sunday. The phone number is 250-562-8171 or toll-free 888-552-5532. The dealership’s management includes Rick Bruneski (general manager); Jeff Morrison (parts manager); Chris Cisecki (truck service manager); Dan Kokesch (equipment service manager), and Brad Cain (body shop manager). The new facility is part of a Kenworth dealer network of more than 380 locations in Canada and the United States. Inland Kenworth, which is a member of the Inland Group, operates 15 Kenworth dealerships (and one TRP store) in Canada, and eight Kenworth dealerships (and one TRP store) in the United States.